It is fairly debatable who the greatest basketball player of all time is. Michael? Kobe? Wilt? Magic? Bird? Take your pick. 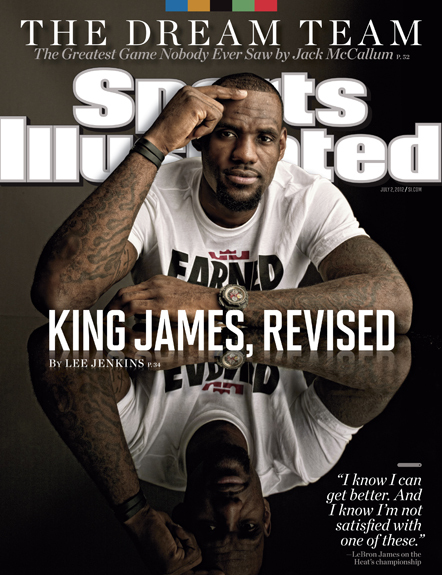 For the time being, the reigning “best of the best” award must go to Lebron. Like him or not, he has the chance to win his third NBA Championship in a row, and the evidence for the greatness of his highness is compelling. They don’t call Leborn King James for nothing. It is fairly debatable which team was the best team in NBA history. Michael’s 72-10 Bulls certainly tops the list, but the 2014 Spurs are making a run for it. If they blunder against the Thunder, then the conversation is over. But if they do in fact win the Western Conference Championship and then go on to beat the Heat in the finals, well . . . Right now, it’s fairly debatable who will win the NBA Championship. Lebron will have to revise his play from his career lot 7 points in Game 5. But whoever wins will be able to lay claim to basketball immortality. What is fairly debatable is how you rate yourself. Are you loud and proud or gentle and genteel? Are you gracious or gratuitous? Haughty or humble? Pompous or pleasant? There is a difference. Achieving greatness is not accomplishing a single solitary feat, but enduring a multifaceted process. It’s not a step; it’s a journey, one step at a time. How about you? Are you on the road to greatness? Can you lay claim to greatness in you part of the world? Is your life an example of greatness? “Achieving” is a modifying verb, meaning it is always used with an object. Here, the object is greatness. Achieve means to bring to a successful end; carry through; accomplish; it also means to get or attain by effort; gain; obtain. We don’t achieve greatness; if anything, we are in the process of achieving greatness. There is no debate on how to achieve spiritual greatness. In fact, we don’t achieve it or obtain it in and of ourselves; much rather, we are granted greatness. God told Abraham that He would MAKE him great or famous. Abraham was given the promise of being a great nation and having a great name. Abraham, for his part, had to do nothing. Nothing? Yes, nothing. All he had to do was to be. There’s no debate that Abraham’s job was to be meek and modest, unassuming and unendearing, unpresumptuous and unpretentious. Abraham’s job was to walk humbly and live nobly, and to be poor in spirit and rich in faith. Yet doing and being are as opposite as night and day. Our Lord said it best: “whosoever will be the greater among you, let him be your minister.” The New Living Translation says “Whoever wants to be a leader among you must be your servant, and whoever wants to be first among you must become your slave.” (Matt 20:26-28). If Lebron wants to be considered the best there ever was, he will have to give everything for his team and not hold back anything for himself. And same goes for us too.